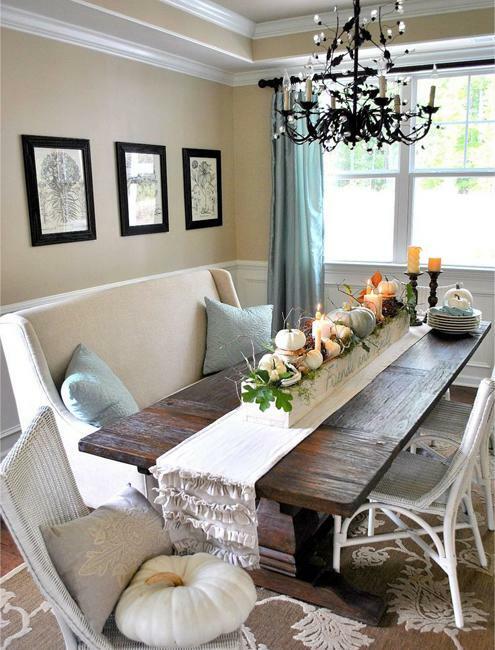 Fall decorating is about spectacular colors and beautiful textures. 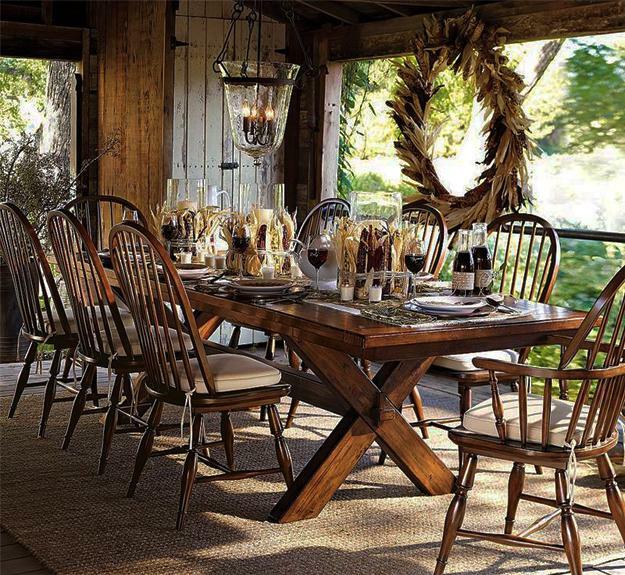 Autumn events, particularly Thanksgiving, are the perfect times for family gatherings, dining, and entertaining. 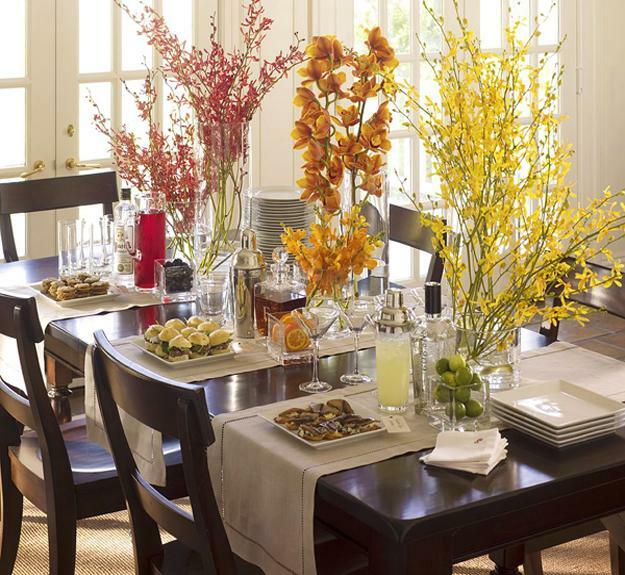 Here are quick tips for staging your dining room and creating impressive table decorations that enhance the spirit of the season and give a fall feel to your holiday tablescape. 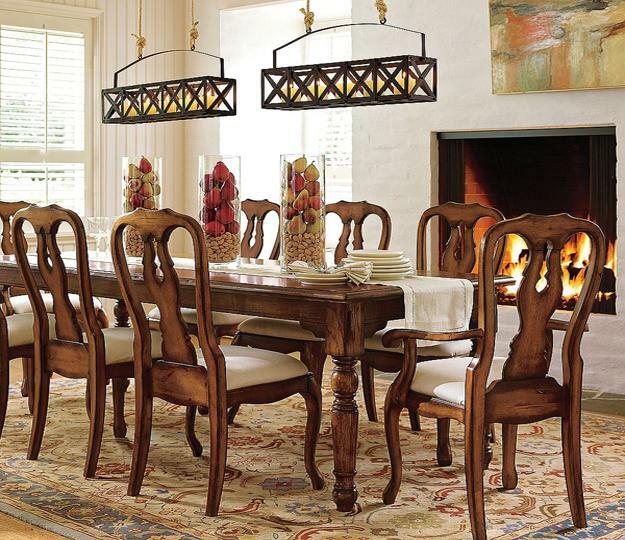 Fall colors are the beautiful inspirations for your holiday decor. 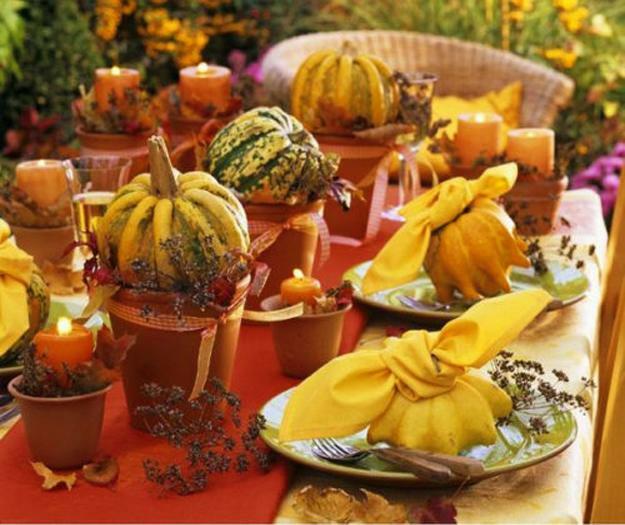 Baby pumpkins, fall leaves, dry branches, citrus fruits, pine cones, nuts are excellent materials for designing stunning Thanksgiving table decorations. Candles in glass or metal candle holders compete the picture giving a warm look to the holiday table centerpieces. Use fall colors, fruits, vegetables. 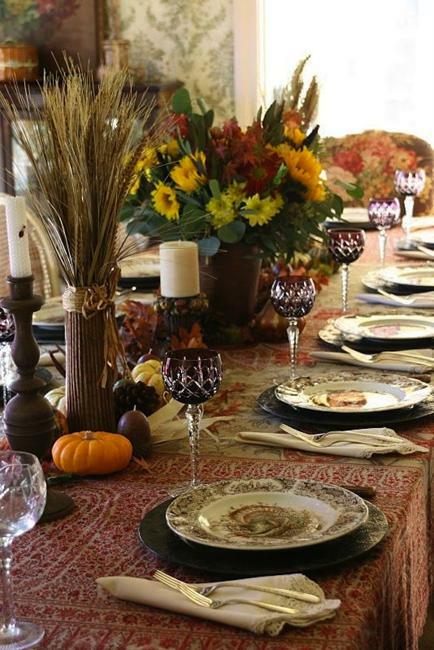 Mix glass, wood, metals increasing the effect of your festive Thanksgiving table decoration. Golden color shades, yellow, red, orange, burgundy, deep purple color, black and white or gray color tones come together to design the elegant and festive color schemes for fall decorating. 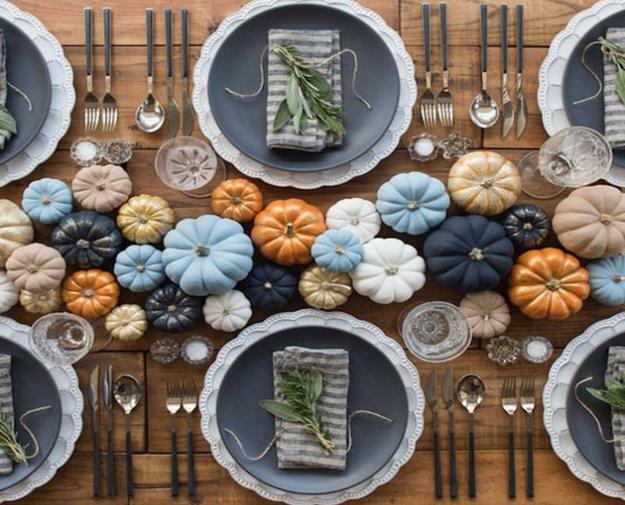 Throughout the holiday season, you can change your fall table looks transforming your centerpiece ideas with new accents. 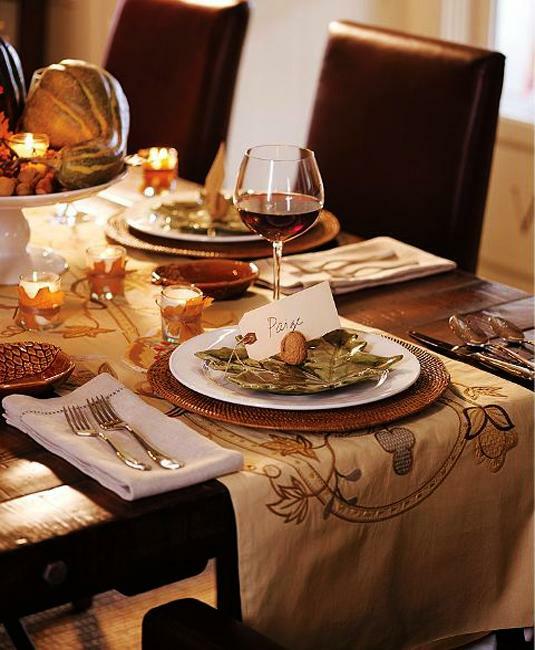 Here are tips on how to create the perfect Thanksgiving table decoration and alter the tablescape for other fall events. 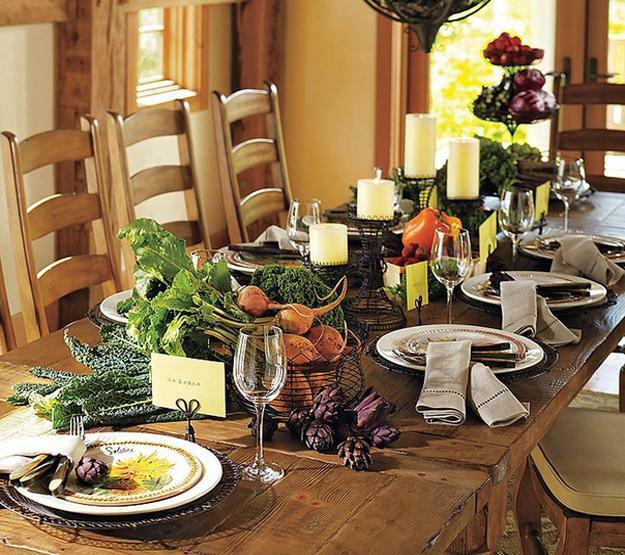 Decorate with fruits and vegetables, creating beautiful fall centerpieces for your holiday table. 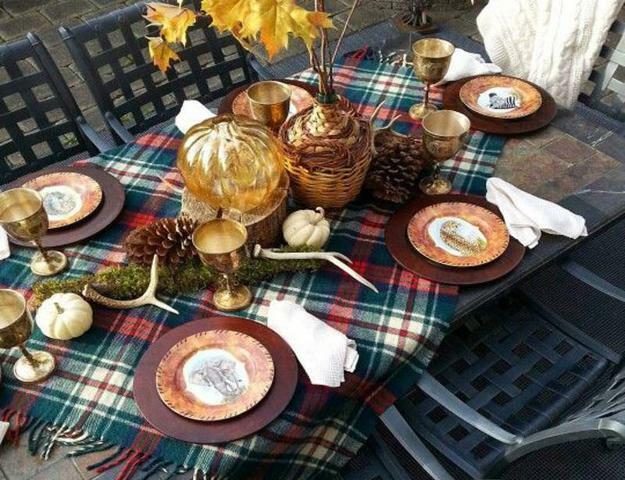 Blend silver and golden colors of metals, add bronze or copper accents to the festive holiday tables. The warm color scheme of fall decorating can tie all different things together showing off the shine and beauty of the fall theme. 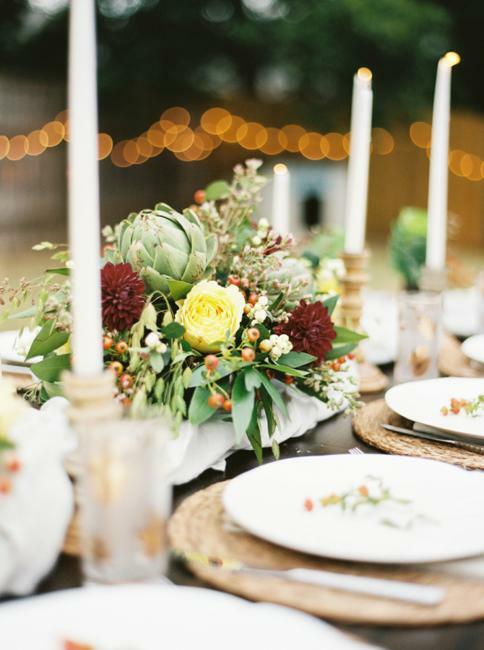 Candle centerpieces are perfect for any table decoration. 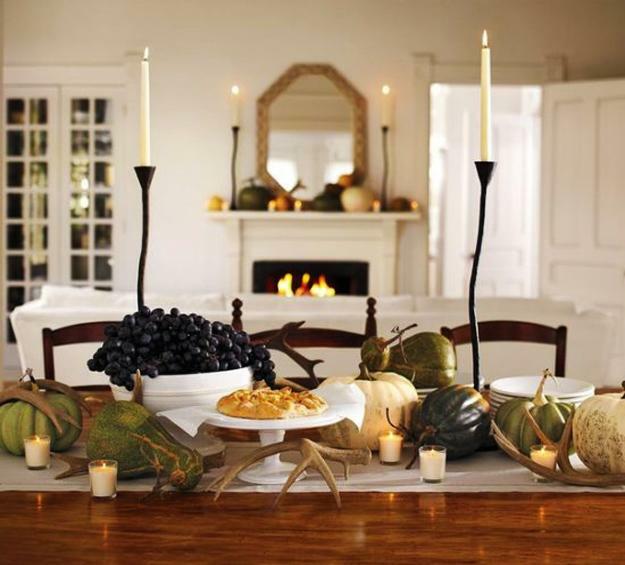 Use a few small tea candles, and add large candles to the centerpiece in the center of the table. You want to impress and delight your guests. 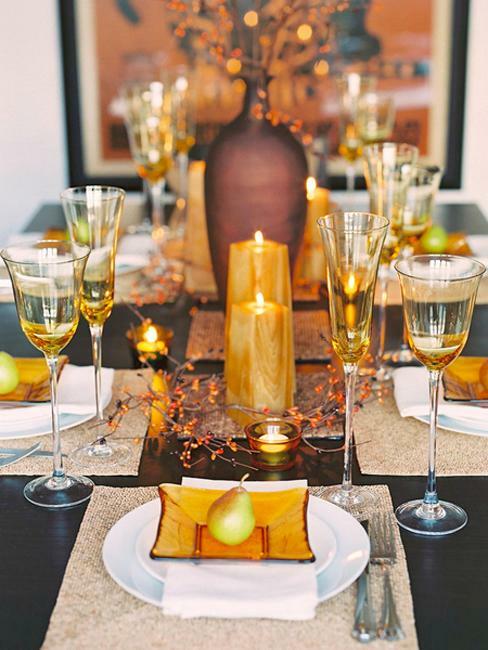 An antler candle holder, metal holder or clear glass vase are excellent for Thanksgiving table decoration. 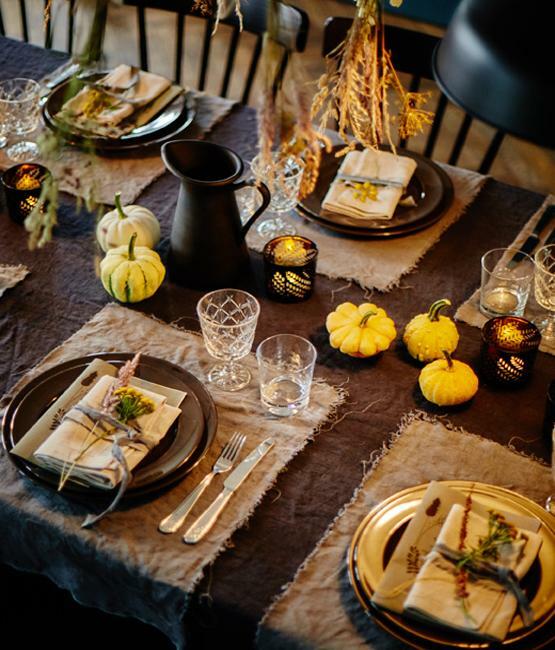 Your table centerpiece can be put off the center to the side of the table creating more room for dining and adding an asymmetrical element to the holiday tablescape. Fall leaves and leaf designs are favorite elements of fall decorating. 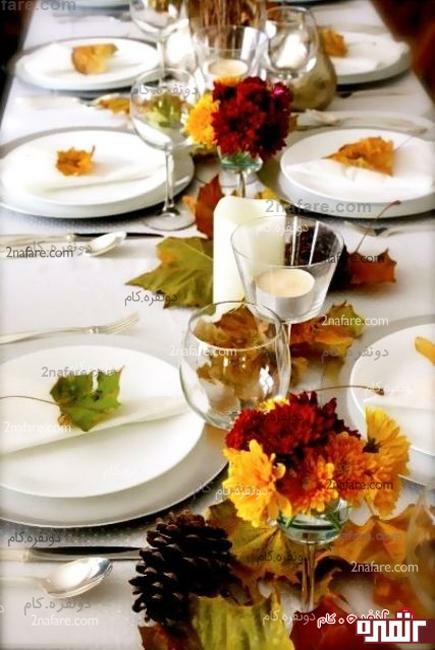 Colorful leaf patterns, leaf-shaped plates, and table decor accessories set the theme and add beautiful accents to fall table decoration. 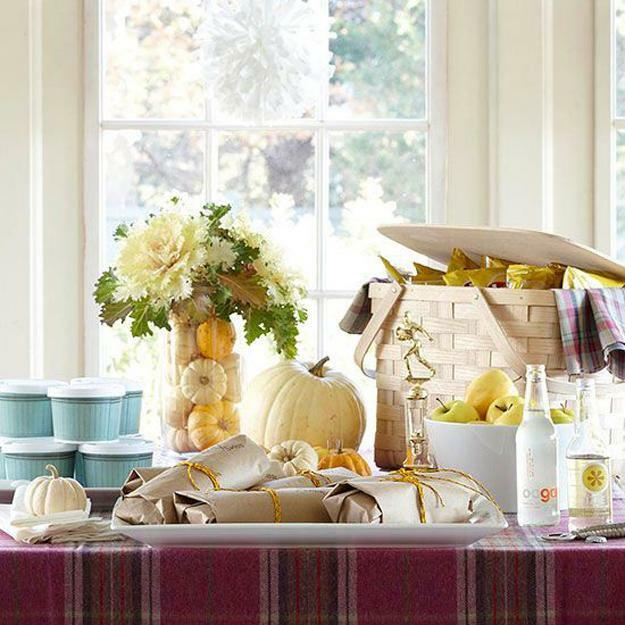 Seasonal fruits and vegetables, fall crafts, and themed designs are perfect for personalizing your tablescape and emphasizing one of your favorite fall themes. 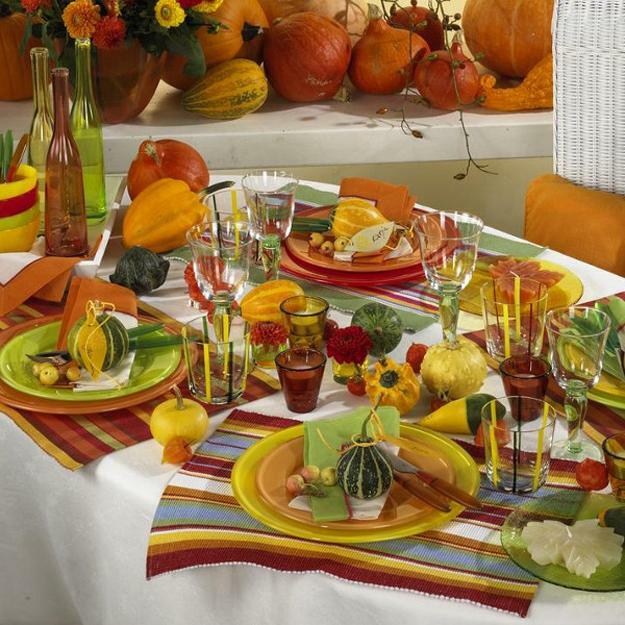 Small guards, fall leaves, nuts, branches, orange, yellow, white pumpkins, corn husks, fall flowers set the fall mood and increase the beauty of Thanksgiving table decoration. 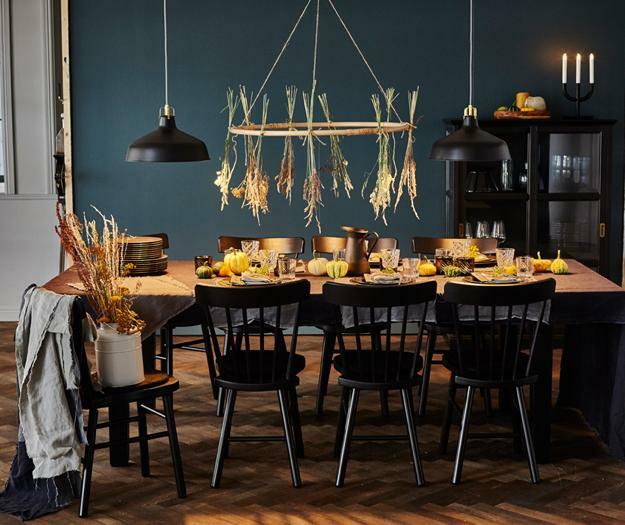 Natural materials, fabrics, ropes, lace, glasses, metal candle holders, ceramic plates, wood or paper crafts create spectacular tablescapes. 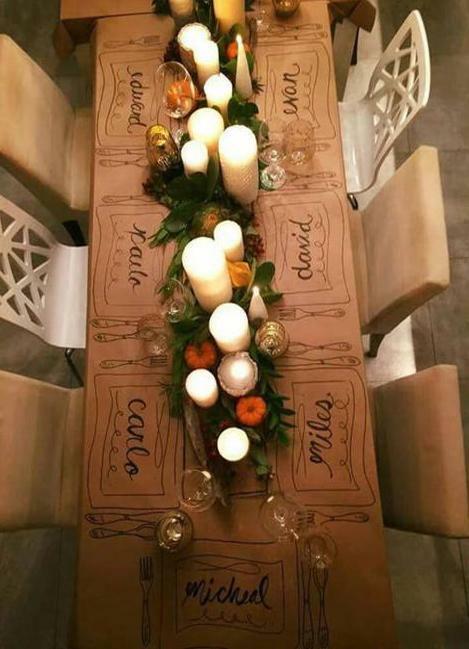 Original designs of napkins rings, candle holders, vases, dishes, and bowls increase the effect, amplifying the seasonal table decoration. 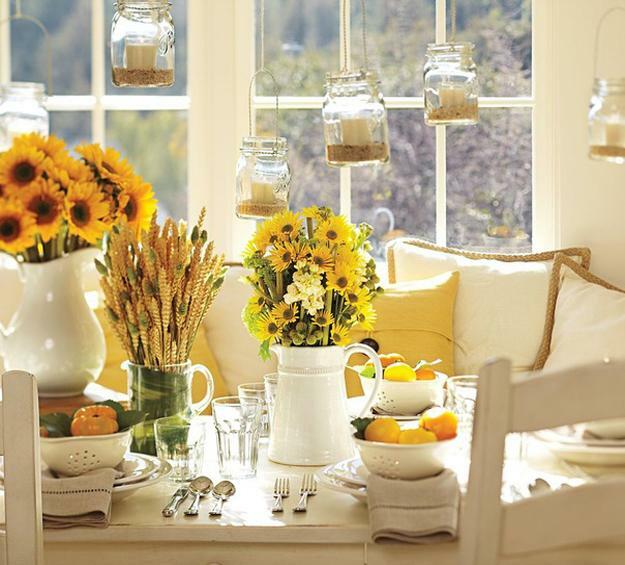 Making small individual centerpieces with fresh or dried flowers, fall leaves, small branches or pebbles is another fantastic idea to add a country home charm and a rustic feel to your holiday table setting. 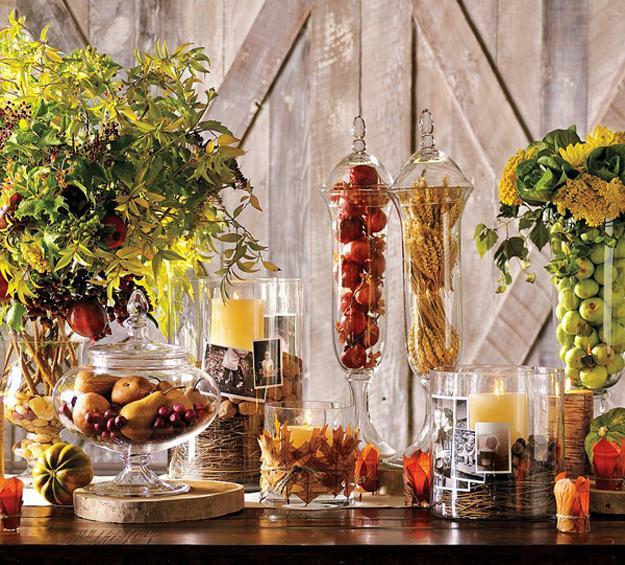 You need various textures, mixed shapes, and colors to design spectacular fall holiday tables.